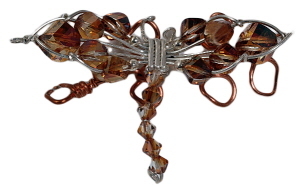 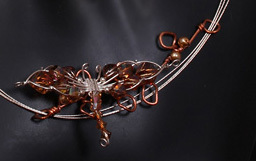 Dragonfly is made using sterling silver wire and Swarovski crystals in crystal copper. 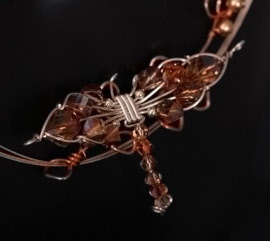 "Branch", complete with "leaves", is hand formed in heavy gauge, round, copper wire. 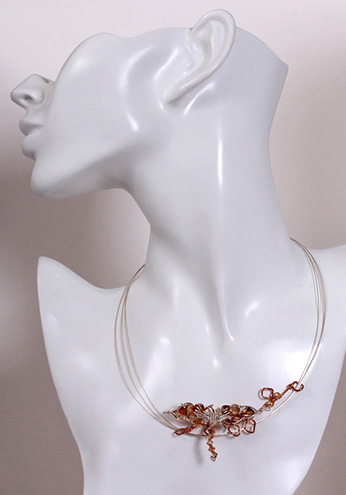 Small pearls are added as "berries". Each "branch" is unique.